Incorporate these training methods into your workouts and get better results in your muscle-building programs. These techniques include negatives, triple add sets, stretch-loading, partial training, supersets and more. Supersets are a very simple and very effective training technique. Learn how to use them for best muscle-building results here. For maximum results, sometimes normal training isn't enough and you need to push yourself further and harder. These intensity techniques will push your muscles to their limit. Partial training is an incredibly valuable training technique when used for the right purposes. It can be used to develop connective tissue strength, strength in specific ranges of motion and high-threshold nervous system activation. Partials can be very effective for building muscle mass, when you make up for the reduced range of motion with increased time under tension via higher rep ranges. Learn the best way to do it here. There's more to building mass than just lifting heavy weights for a few reps. High rep training can be extremely effective, when used properly. It targets the underlying physiology of the muscle tissue to set the stage for greater growth. Put the strength-boosting power of antagonistic action on the nervous system to good use with this powerful superset technique. This technique flows between two exercises for back and chest that share the same start position. You'll alternate reps of each, taking advantage of the effect of antagonistic training on the nervous system for increasing strength within a set. If you want to build bigger, stronger legs, you need to push them hard. 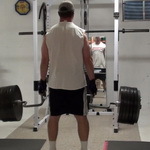 This alternating technique will maximize the workload on the legs, pushing them to their limits. Take advantage of the incredible benefits the stretch has on increasing muscle mass. 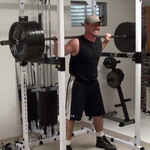 This unique combination Giant Set will activate more muscle fibers then work them to their full potential. Muscle fiber hyperplasia is the Holy Grail of bodybuilding. This means splitting the muscle fibers so you have more muscle to work with to build via hypertrophy. Is it possible in humans? And if so, will this training protocol do it? Eccentric training (also known as negative training) is one of the muscle underused and incorrectly used form of training. Yet it has tremendous potential for building strength and muscle mass. Learn how to do negative training for the "show" muscles of the upper body without requiring help from a spotter. Eccentric training is very beneficial for building strength and mass, but many forms of it require a spotter to help you do the concentric portion. These methods will allow you to do negatives on your own and get all the same benefits. Target all three major muscle fiber types with this single extended set. Instead of decreasing the weight, you're going to increase the weight while strategically changing rep ranges. This unique method of targeting all your major muscle fibers types in one set can be applied without every changing the weight...just the range of motion. Your shoulders will LOVE this method as it addresses different strength levels at different points in the range of motion. Your body is designed to deal with uneven loading. Rarely do you have balanced loads in nature. Unbalance your loads on purpose and develop more strength and achieve greater muscle activation. There is a fine line between warming up enough and warming up too much. This template for warming up for a one-rep max will help you to maximize your true strength without fatiguing yourself with warm-up sets. Your hands and fingers connect you to the weight. To get the most out of your training, you need to develop your hand, finger and forearm strength, or you're leaving pounds on the table.